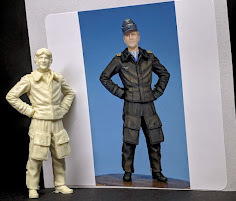 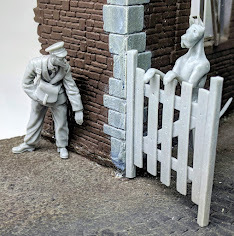 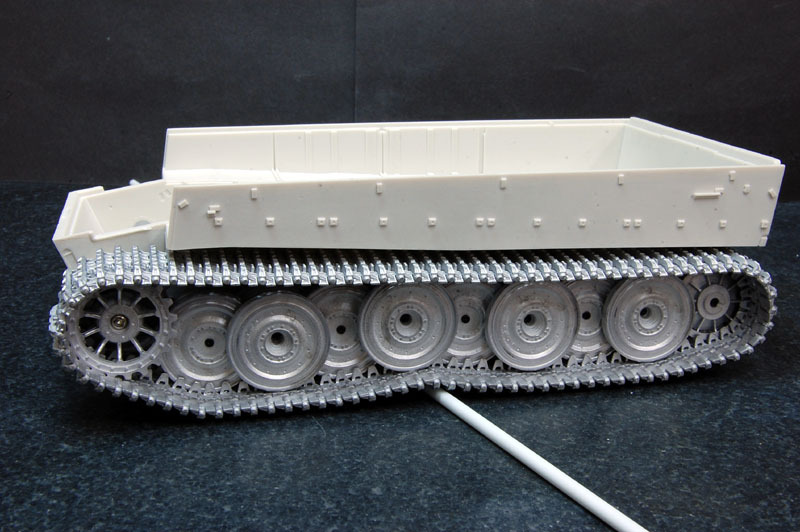 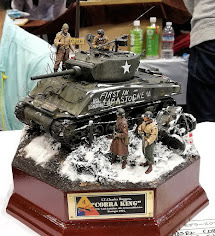 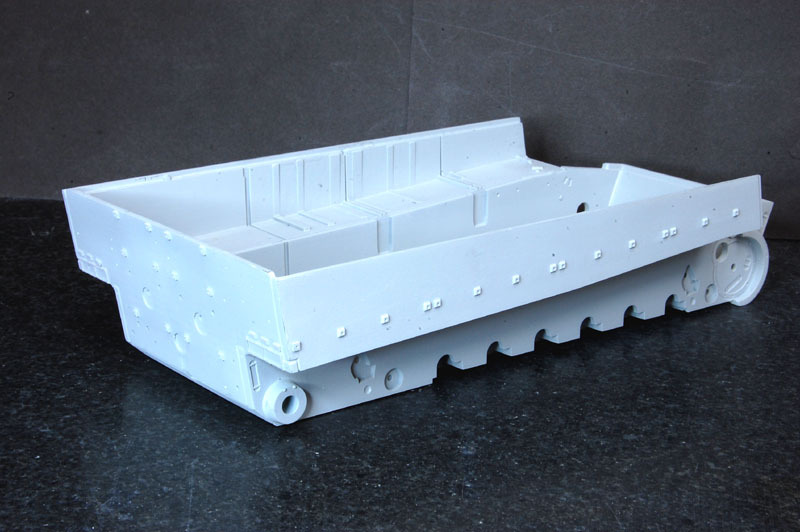 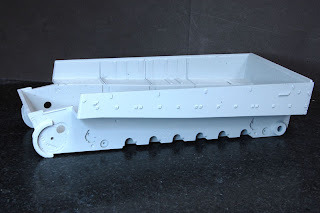 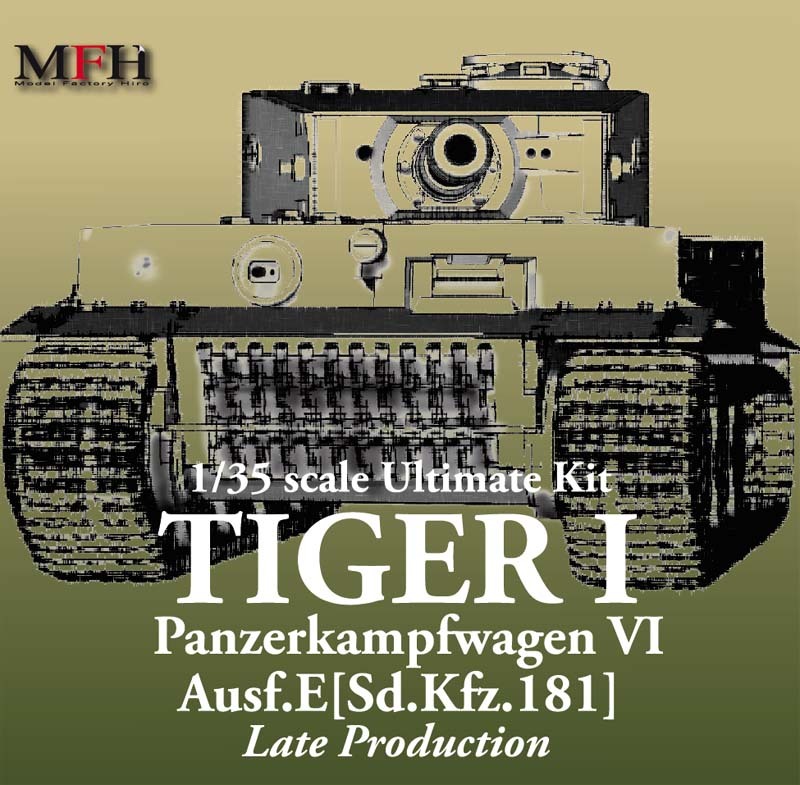 More news about the ultimate Tiger from Model Factory Hero – this time we have colour schemes, the hull and running gear constructed and even a video of it all running over (not very) challenging obstacles. 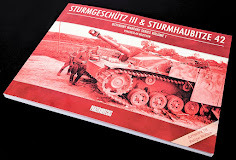 Impressive though I will grant you, and worth a look! Here are some of the features that Model Factory Hero has revealed. It is a multi-material kit with lots material like white metal, resin, aluminium, Photo etch, silk screen printing decal, and magnets. 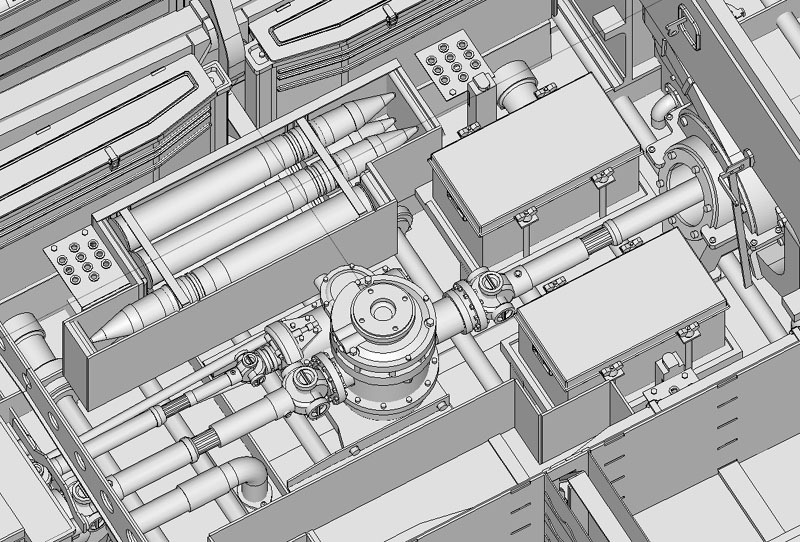 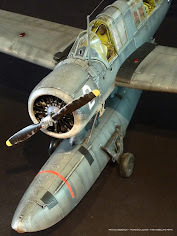 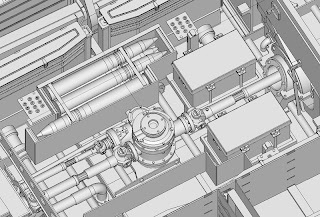 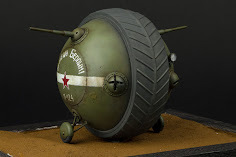 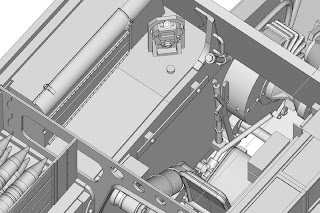 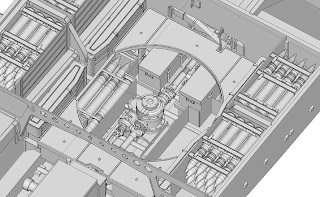 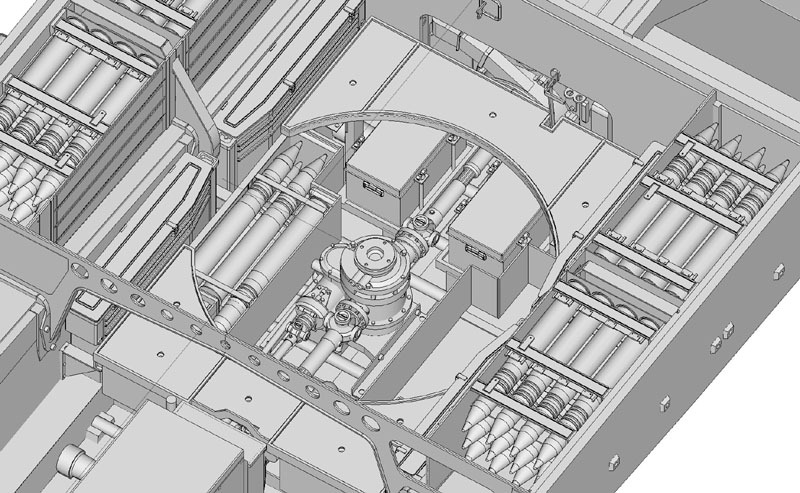 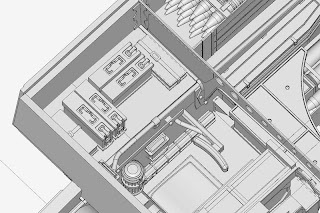 Full interior kit was also three-dimensional internal structure Maybach HL230 engine, radiator and ammunition mission and, fuel tank, inside or turret. 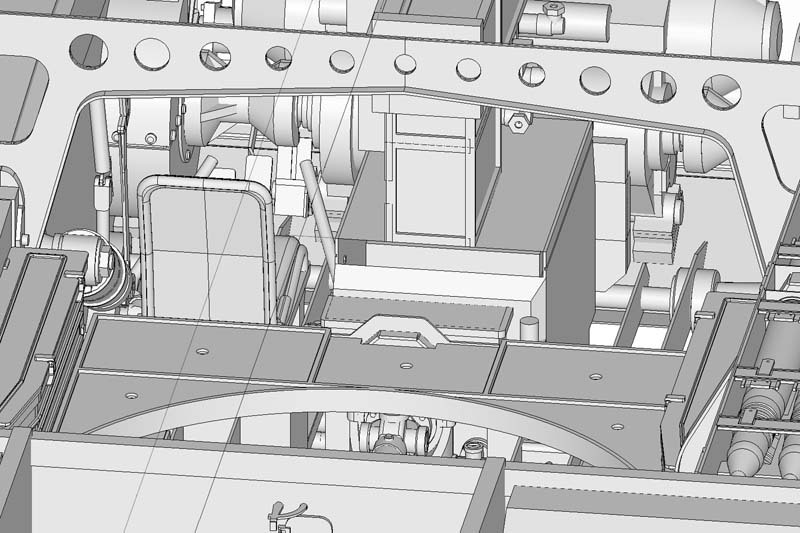 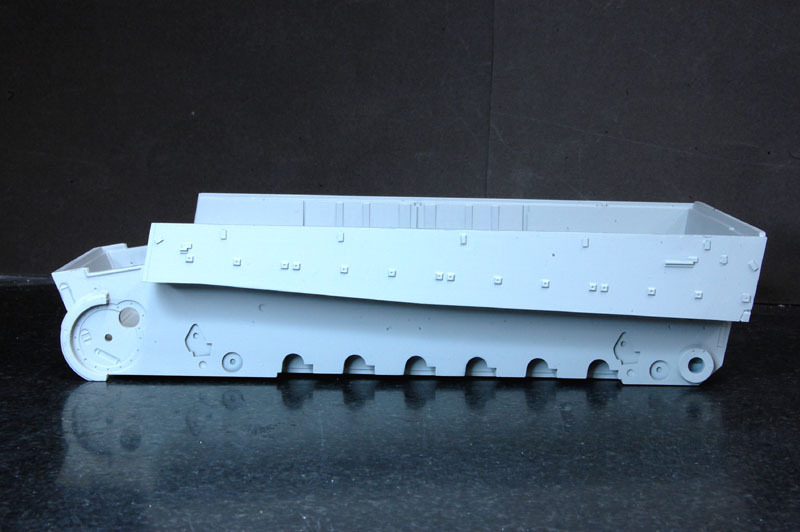 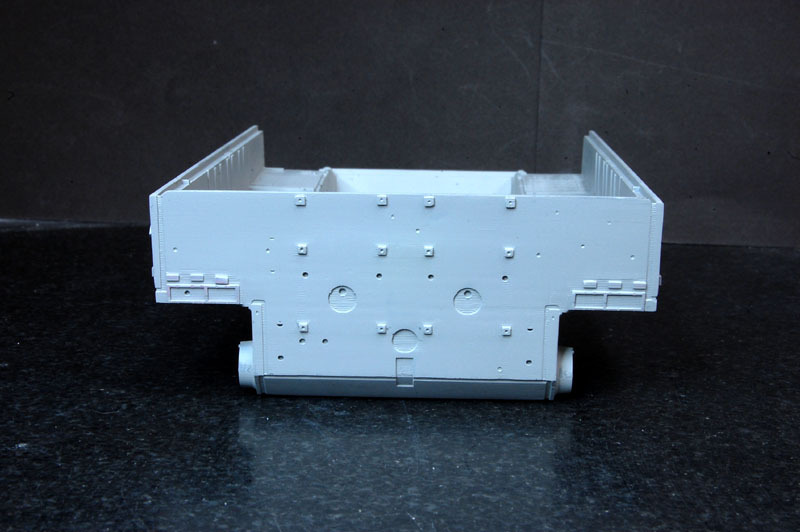 You can look inside detachable deck and turret and body through the use of the magnet. The tracks and suspension is fully workable as in the real thing. 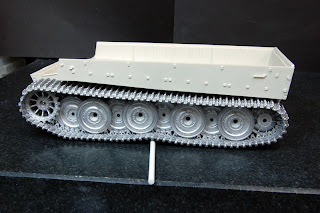 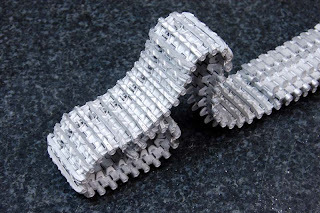 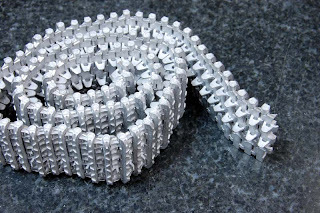 The metal tracks give a real impression of weight and realism in the way they sit on the rollers. 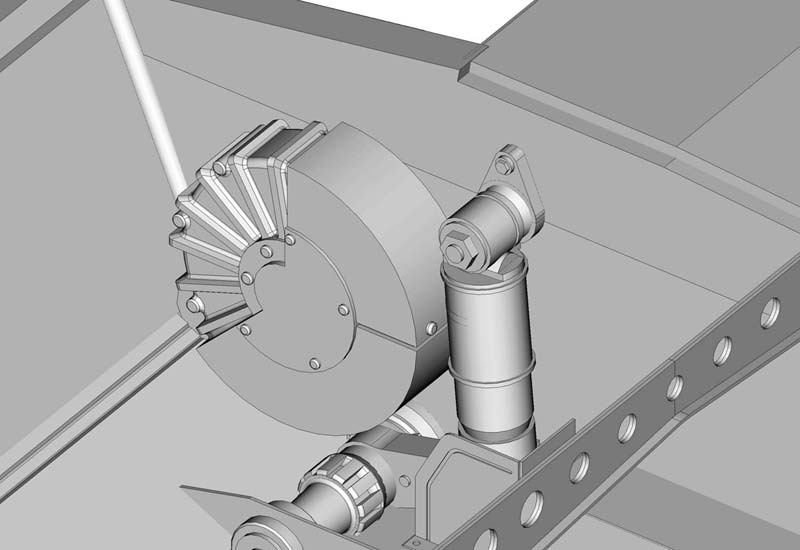 Suspension has a built-in magnet, giving realistic range of motion using the recoil. 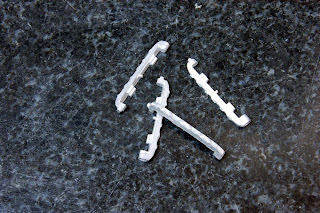 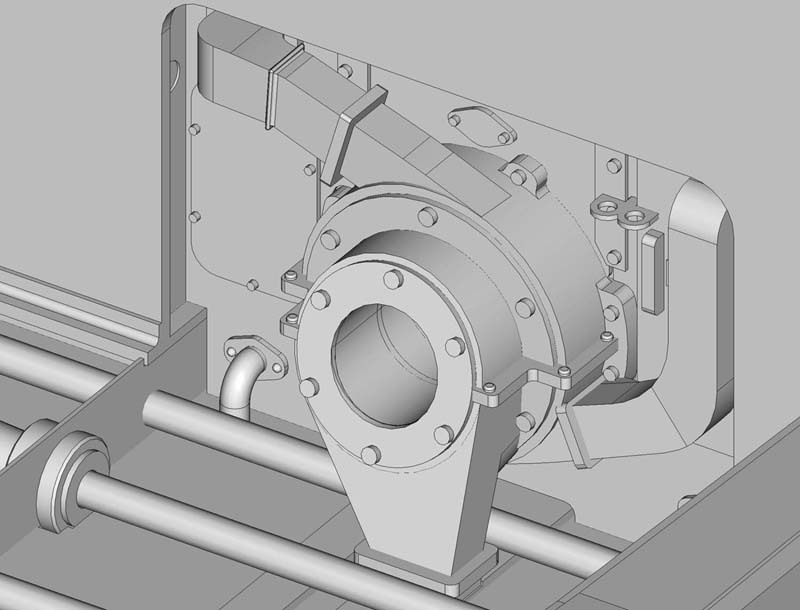 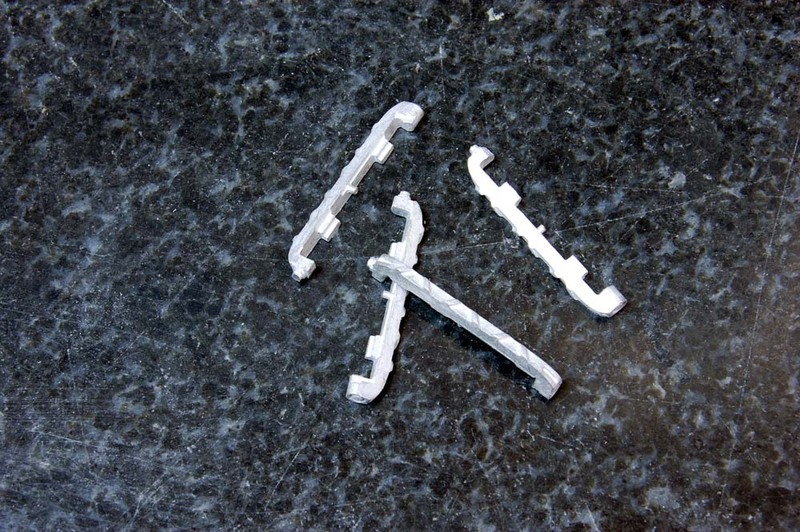 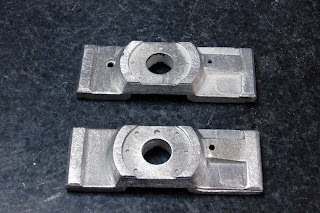 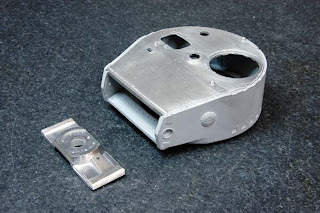 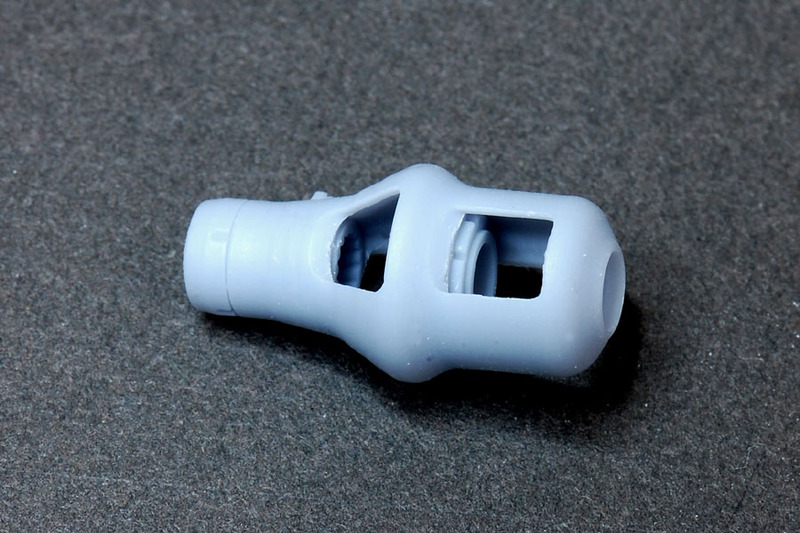 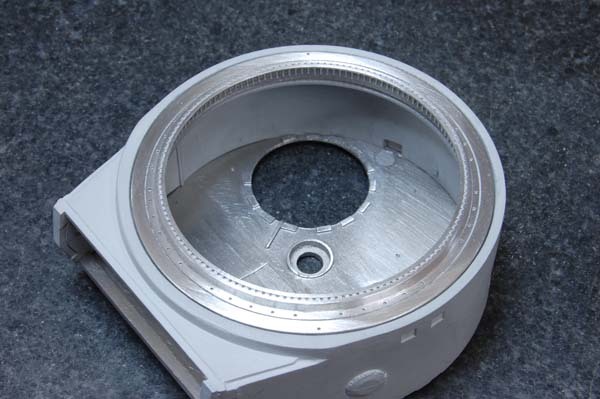 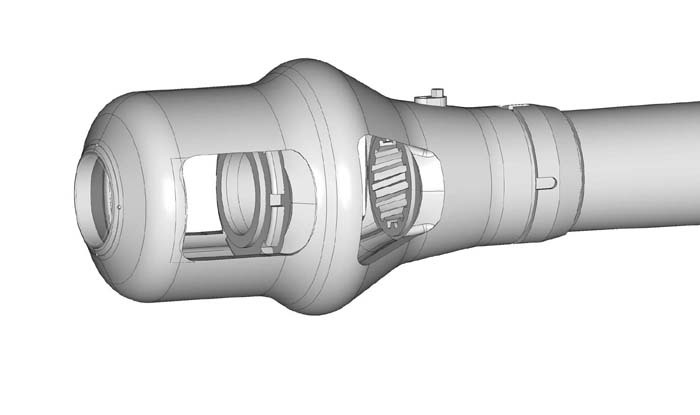 The muzzle brake parts by UV curing resin moulding machine laser were reproduced with ring detail and inside. 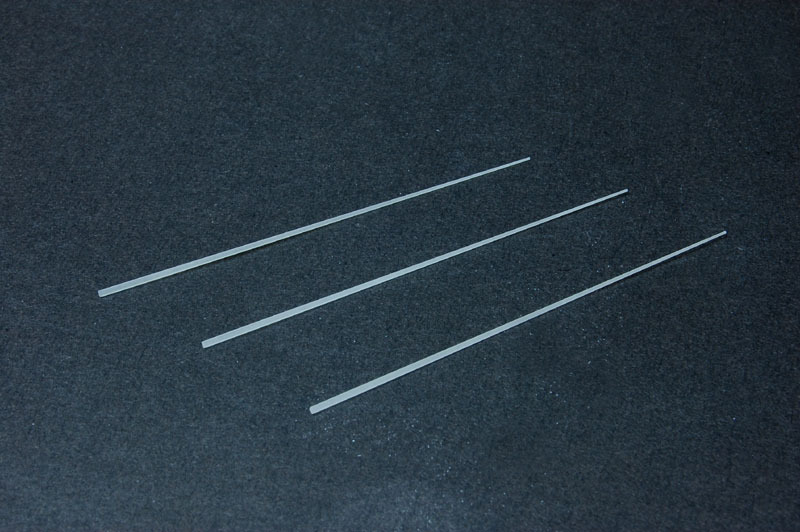 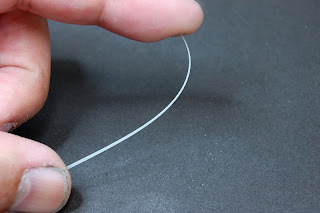 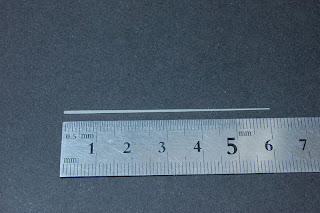 The antenna is made ​​of bending fibre, of a three-dimensional shape with a taper. 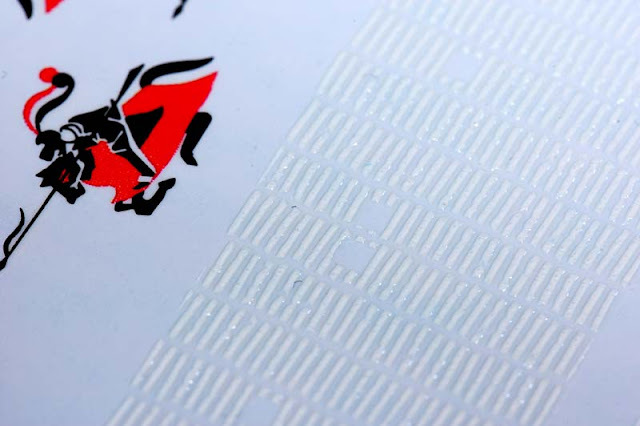 Included is a stereoscopic water transfer decal for the twin benefits of newly developed coating of Zimmerit. 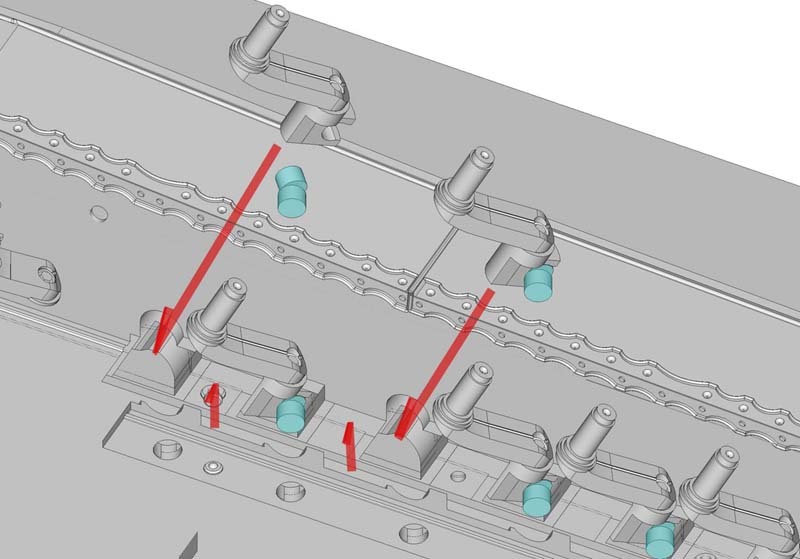 You can reproduce the uneven pattern mould easily. 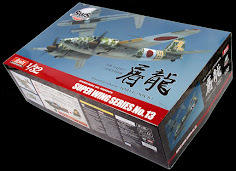 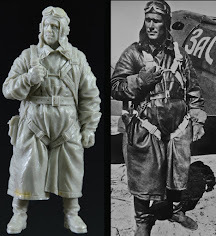 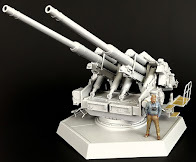 The milestone item of the Military genre, the new main series from Model Factory Hero. 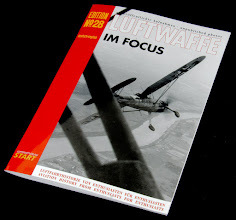 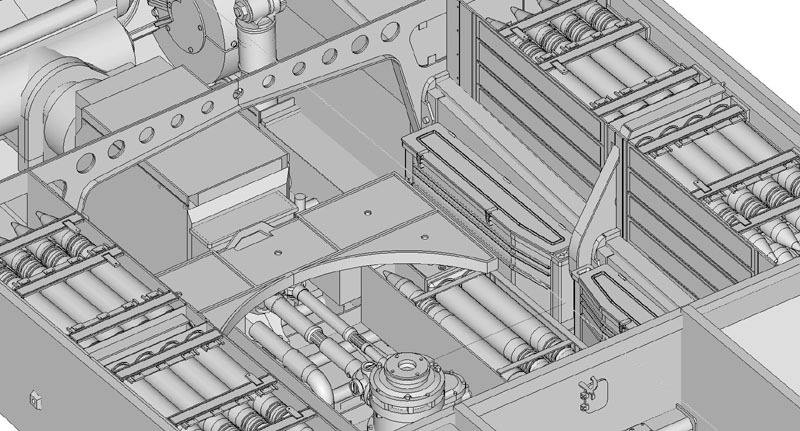 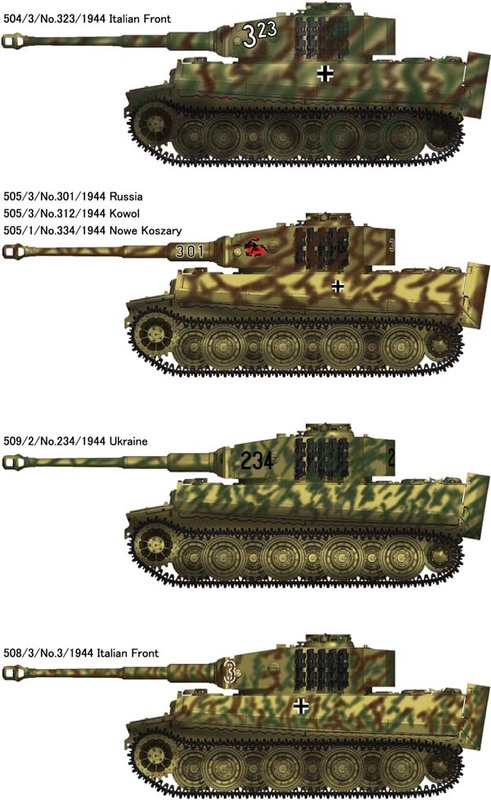 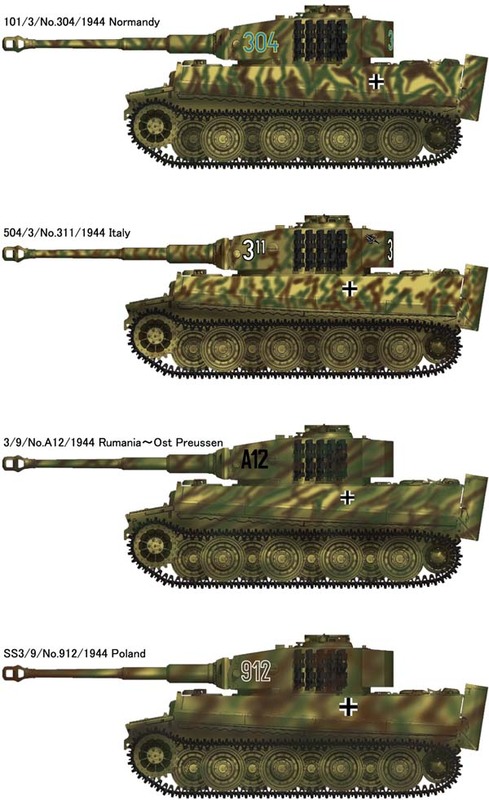 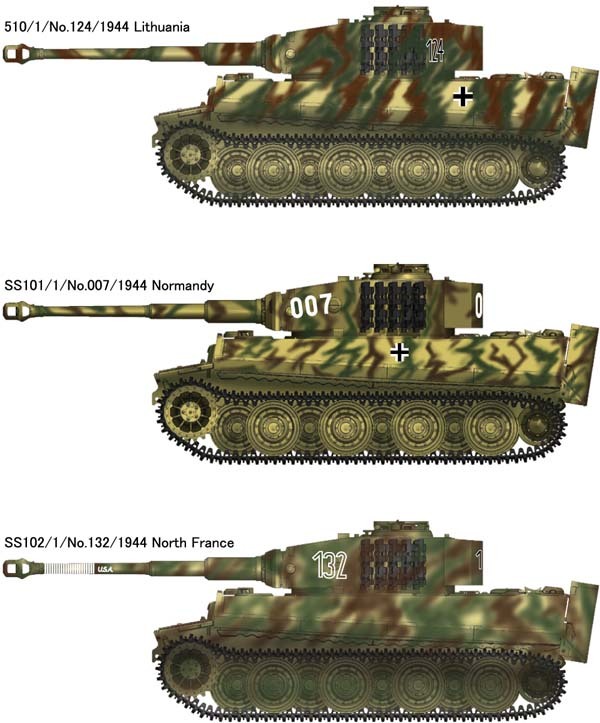 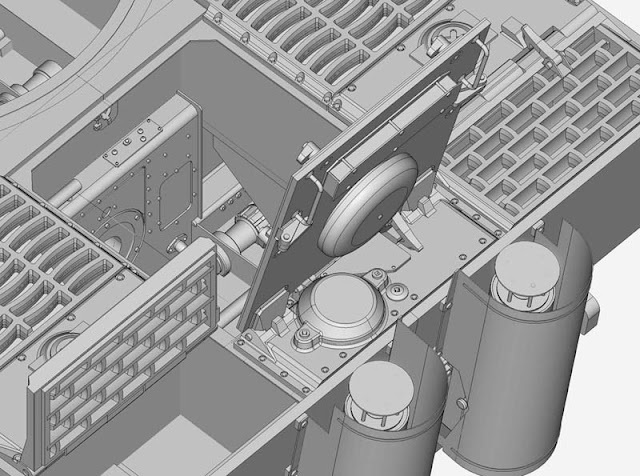 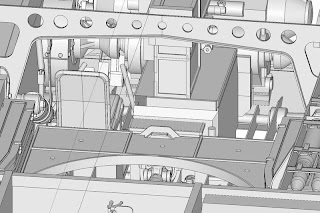 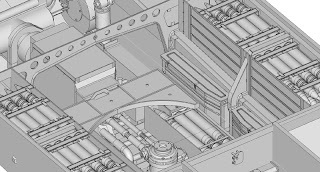 The TIGER I Ultimate Kit will be presented in 1/35 scale and the 2nd product of the Ultimate Kit product line. 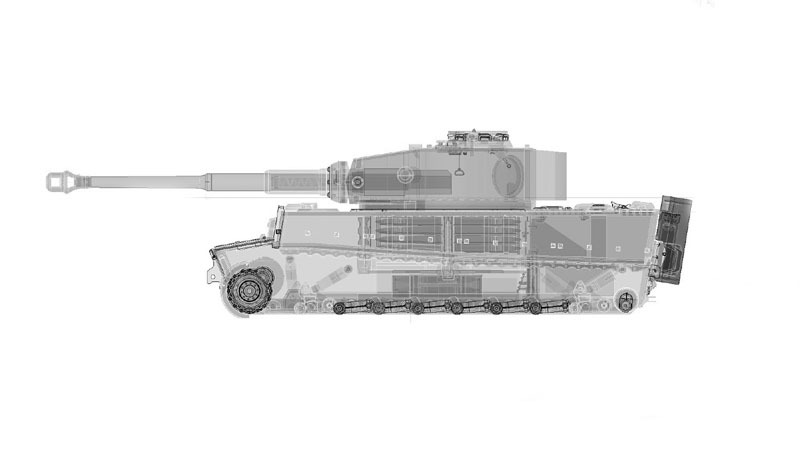 This TIGER I presents the ultimate level of detail with a brand new view of aspect. 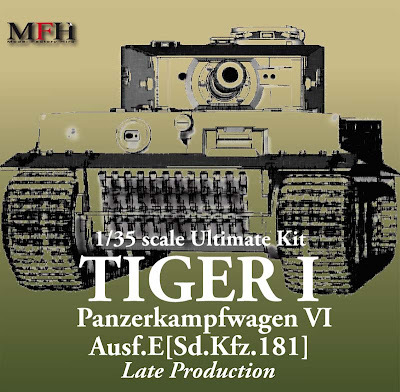 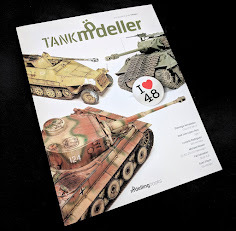 ■This kit is based on late production type in 1944, with the new type cupola and steel-made wheels. 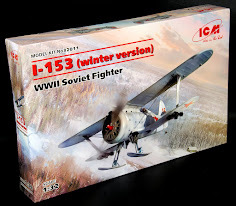 ■This multi-material kit consists of parts that made of White Metal, Resin, Aluminium alloys, Photo etch sheets, Screen Printing Decal sheet, Magnets, and more. 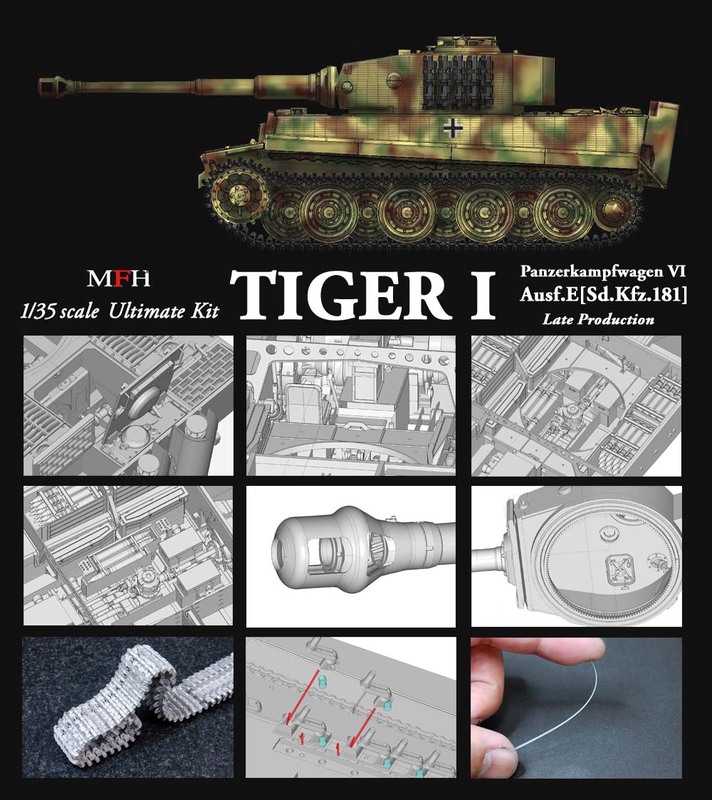 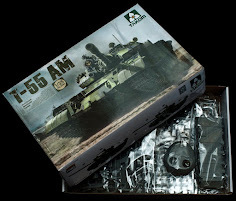 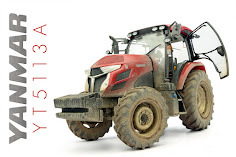 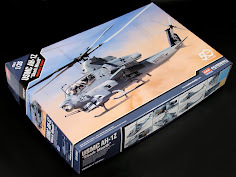 ■This kit includes full detailed interior parts of Maybach HL230 Engine, the mission and radiator, fuel tank, internal structures of the turret and ammo. 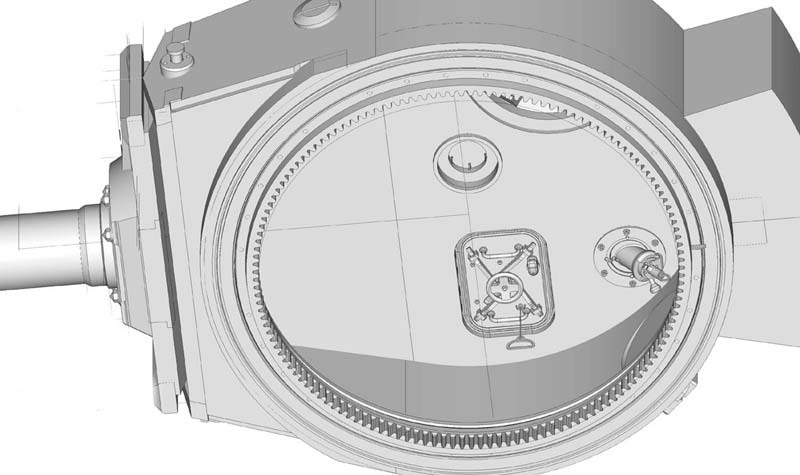 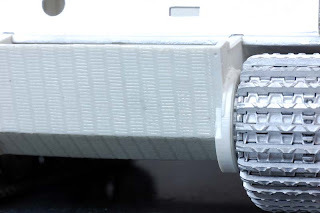 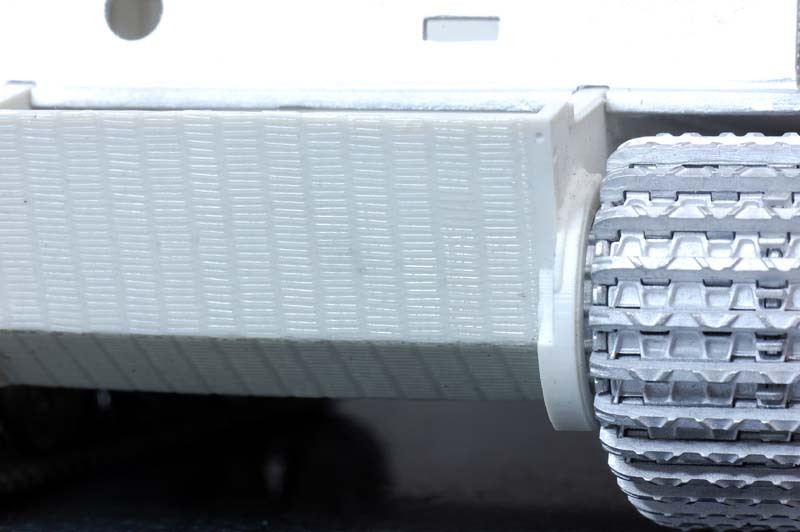 The upper part of the turret and the body is attached by magnet and can be attached and detached easily to show the interior parts. 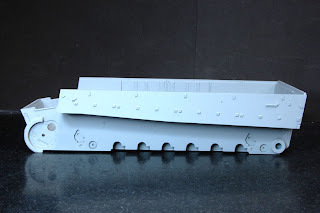 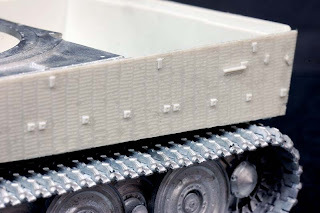 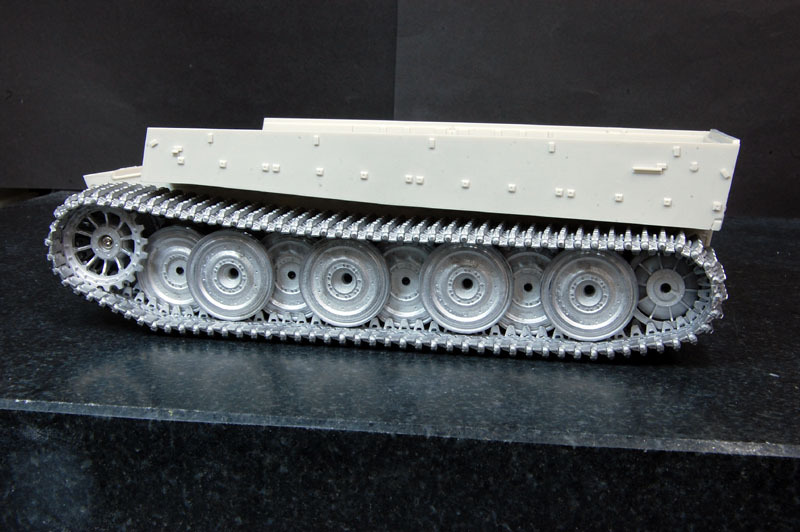 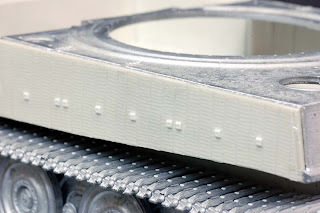 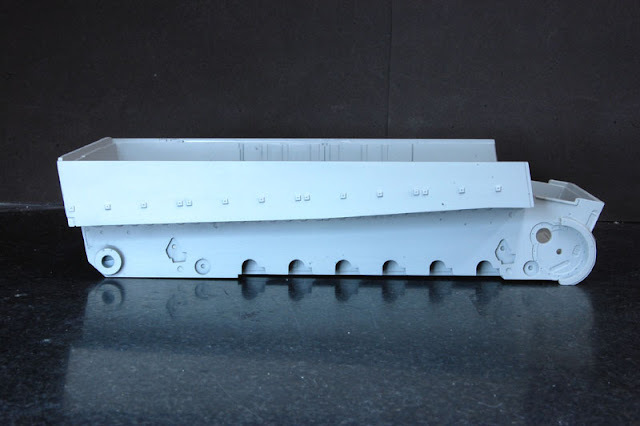 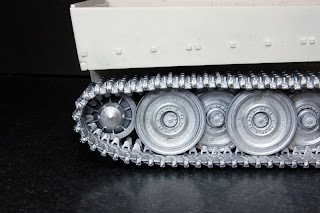 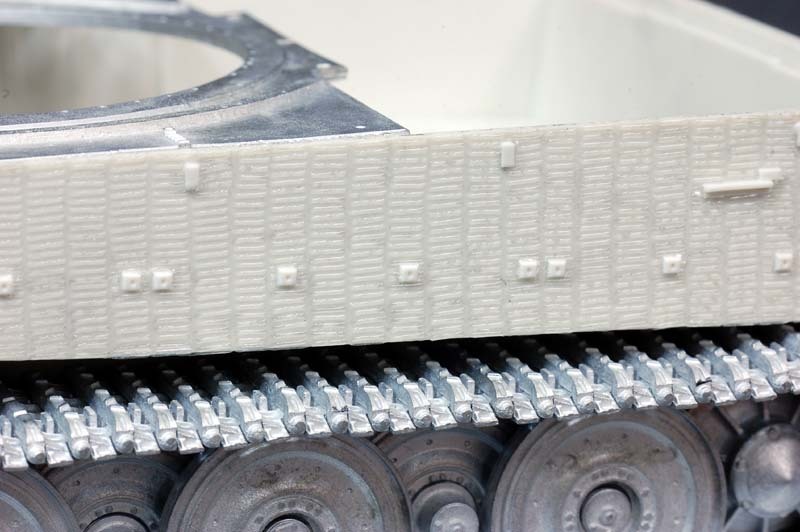 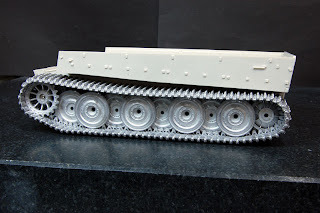 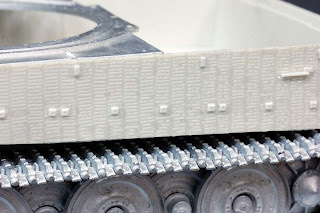 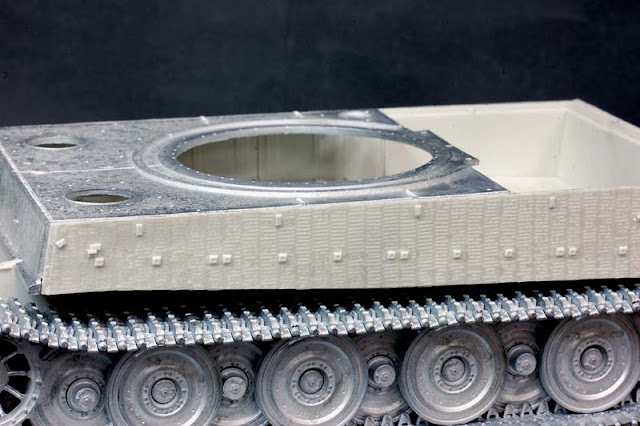 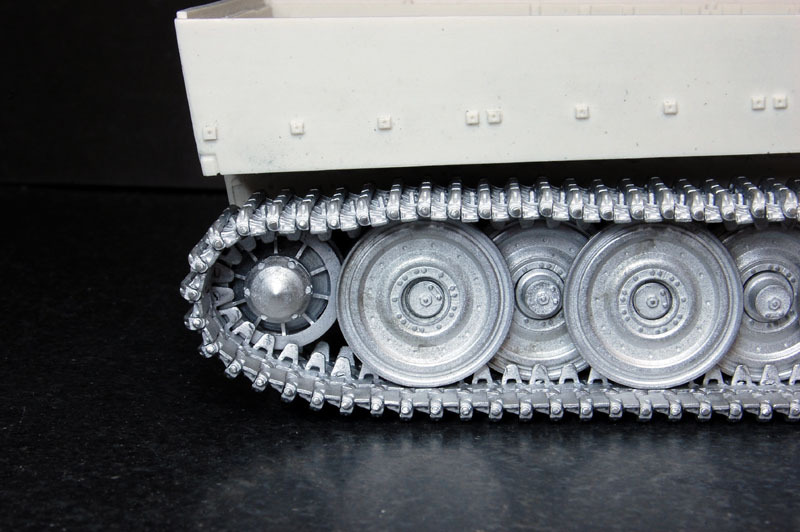 ■The suspension is attached by magnets in order to let it move as the real tank does. 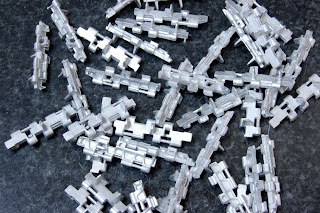 ■The muzzle brake is made of UV photo polymer using laser lithography, to reproduce the internal details and the rifling. 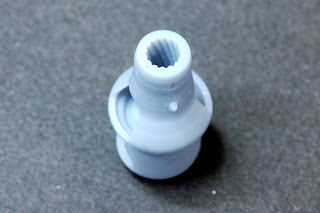 The barrel is made of Aluminium alloy and the recoil action can be reproduced with the spring installed. 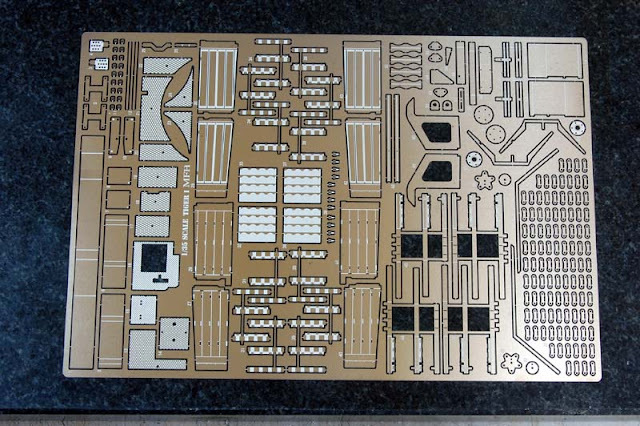 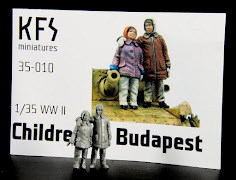 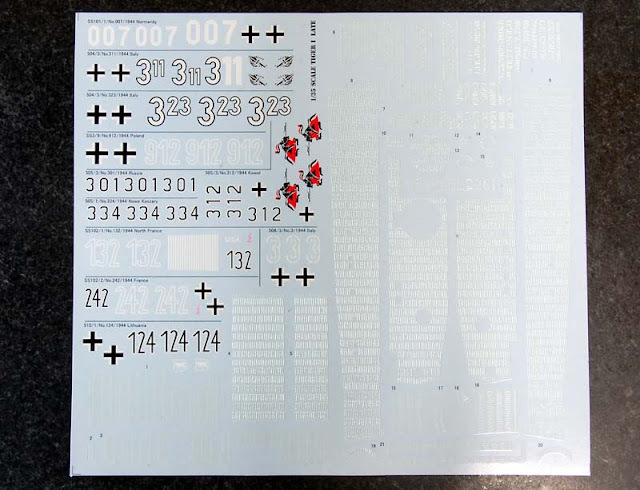 ■The Zimmerit Coating is using the new-developed 3D Decal sheet that included in the kit. 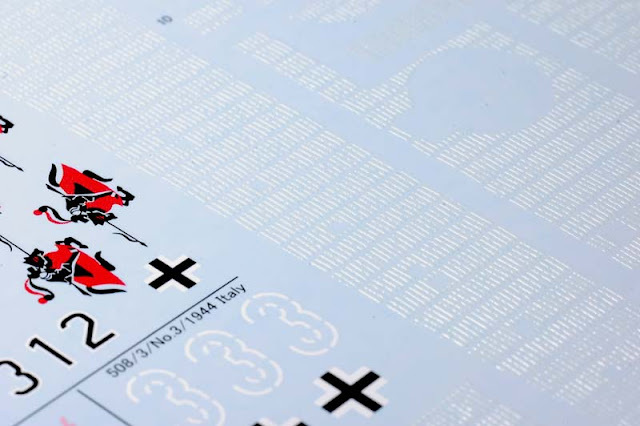 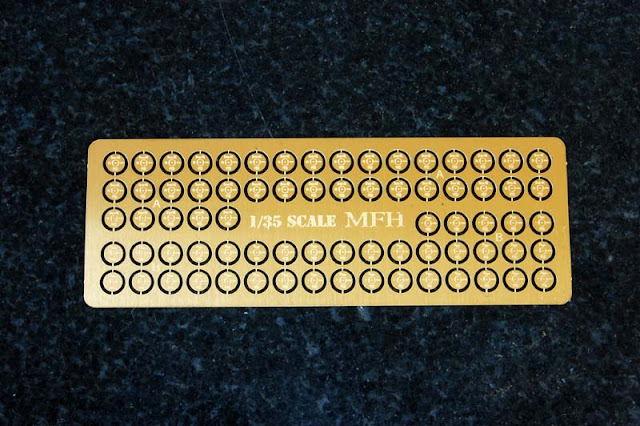 The uneven surface can be easily done by using this sheet. 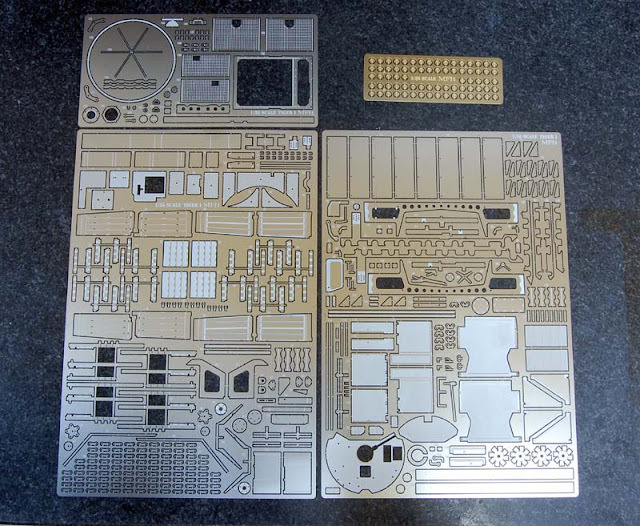 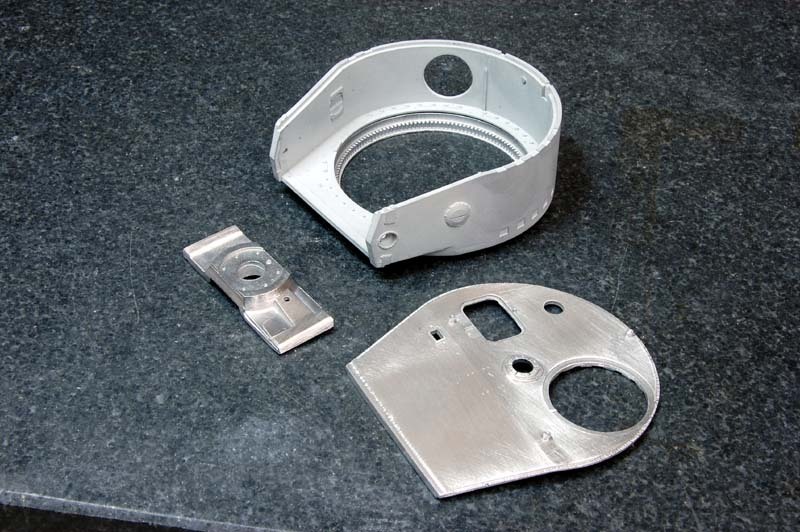 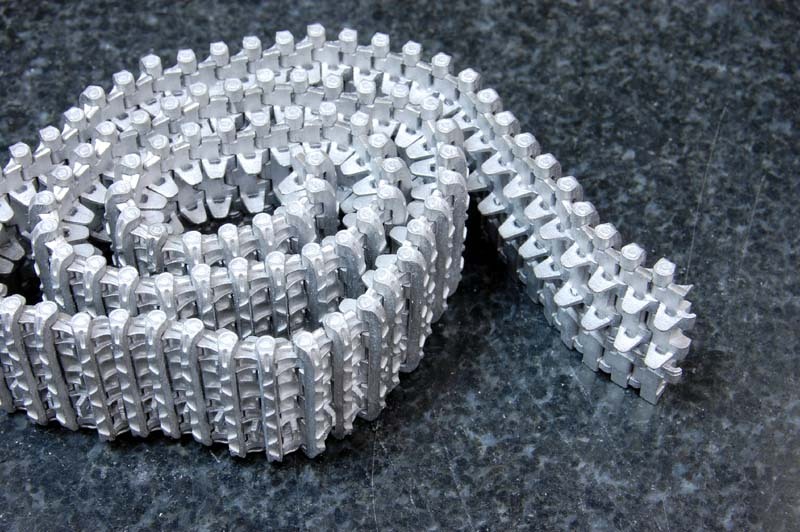 We will show you more as this product arises….